I noticed that my HTC Desire does not charge at full rate off my Belkin Micro USB car charger, despite it being the same rating as the original HTC wall charger (5v, 1A). It appears that the Desire obeys the somewhat recently introduced USB battery charging specification that states devices may draw up to 1.8A if the D+ and D- pins are connected by a resistance of no more than 200 Ohms. 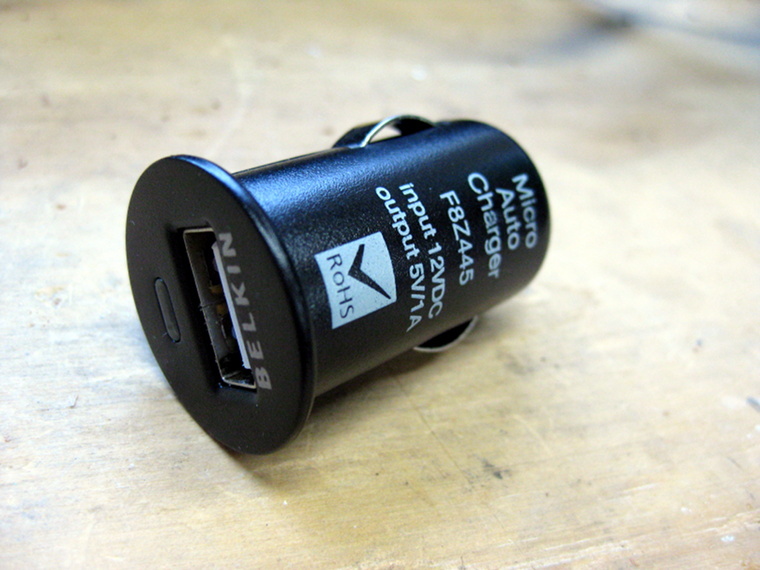 This post shows how I modded my Belkin Micro USB car charger to charge my Desire at the full rate of almost 1A. 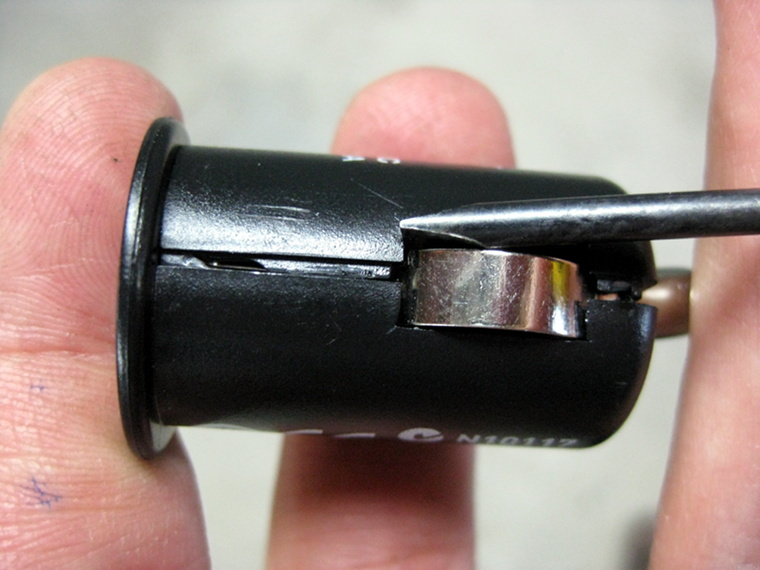 Getting the charger open is relatively easy; use a small flat screwdriver to pry the two halves apart. 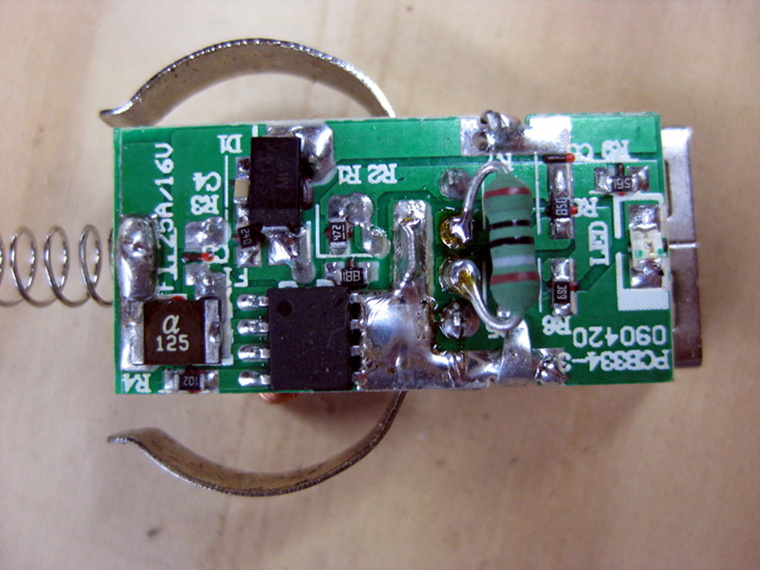 Note that the faceplate is attached to the side closest to the power LED. If the screwdriver takes too much effort you can use a vise to gently squeeze the sides along the seam to help break the seal. Once the seal is broken the metal pin on the front will probably ping out and land somewhere awkward like under your workbench, so be prepared! 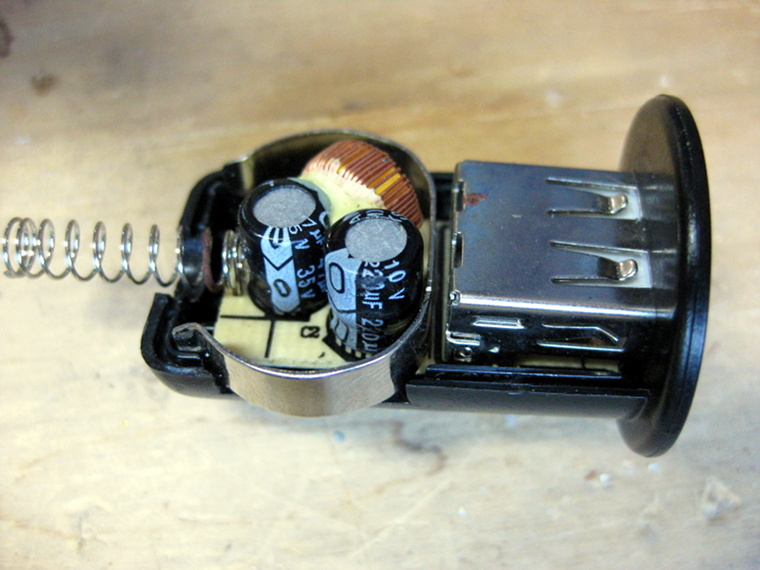 Now solder a 180 Ohm resistor across pins 2 and 3 of the USB port. To get it back together simply put a few drops of super glue along the seam. I used Selley’s Plastic Glue which is exceptionally good. After this the battery status (Settings, About phone, Battery) shows as Charging (AC) instead of Charging (USB), indicating that the battery is now charging at full rate. Would you be able to confirm the exact charge current in milliamps prior to the modification and after?